Ingoe Oils can deliver your fuel to you anywhere in the UK. Our nationwide deliveries of fuels and lubricants ensure that you are topped-up with oil fuel whenever and wherever you need it. How Can We Offer Completely Nationwide Deliveries? Our recent success in the north of England has meant that we acquired customers who needed fuel deliveries outside of our delivery areas. We pride ourselves on excellent customer service and decided to make these deliveries for them. After several months, we had built up strong connections with large depots around the UK and before we knew it, we had a large distribution network which reached far and wide. 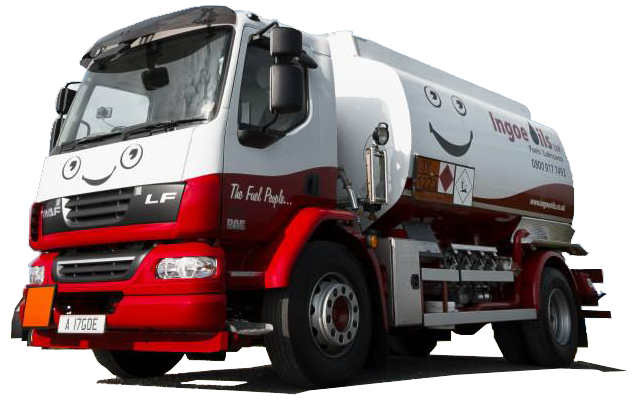 Today, Ingoe Oils boasts a UK-wide fuel delivery service which has been perfectly crafted to ensure that you receive nothing but the best in fuels and customer care. We have tankers in a wide range of different sizes. This means that even if you live in an area that’s difficult to reach, we’ll be able to get to you and deliver on time. Need an oil delivery urgently? We have an emergency delivery service just for that situation. It enables you to get the fuel you need within 24 hours of placing your order. Do you need help monitoring your fuel? With our fuel management service, we can monitor your fuel supply to make sure that your tank is topped when you need it. We always strive to make sure that all of our customers get the oil they need at some of the competitive prices in the UK. Call us today on 0800 917 7493 to speak with an advisor, who will be able to answer any of your questions.